Stronger Faster Healthier at RARE CrossFit Fredericksburg, Spotsylvania, and Stafford’s premier CrossFit Facility! Are you aware of the Supplements at RARE? Some of the those supplements are by SFH. Stronger Faster Healthier will be here... Tuesday, January 15 from 4:00 - 7:00 pm. so important to incorporate both into your daily supplement routine. RARE only carries products that RARE believes in. Adam and Lee personally use the products in the retail area. 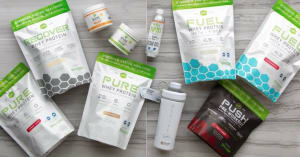 They have researched these products and believe that these are some of the best products available to help you reach your goals.